Rihanna recently took to one of her favorite social media networks, Instagram, to show off her newest tattoo. She shows off her falcon tattoo which is in the shape of a gun located on the inside of her right ankle. 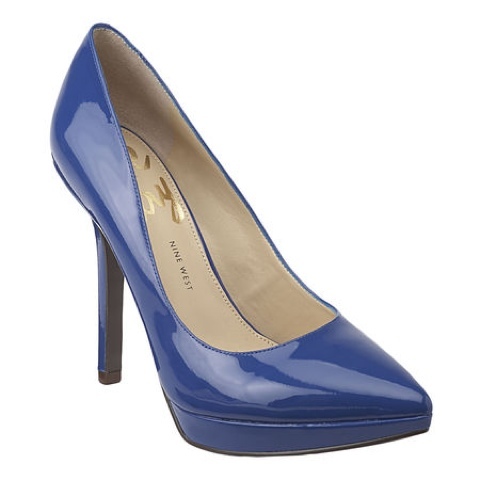 Get a similar pair of blue patent leather pumps like Rihanna's from Nine West.